Ch. 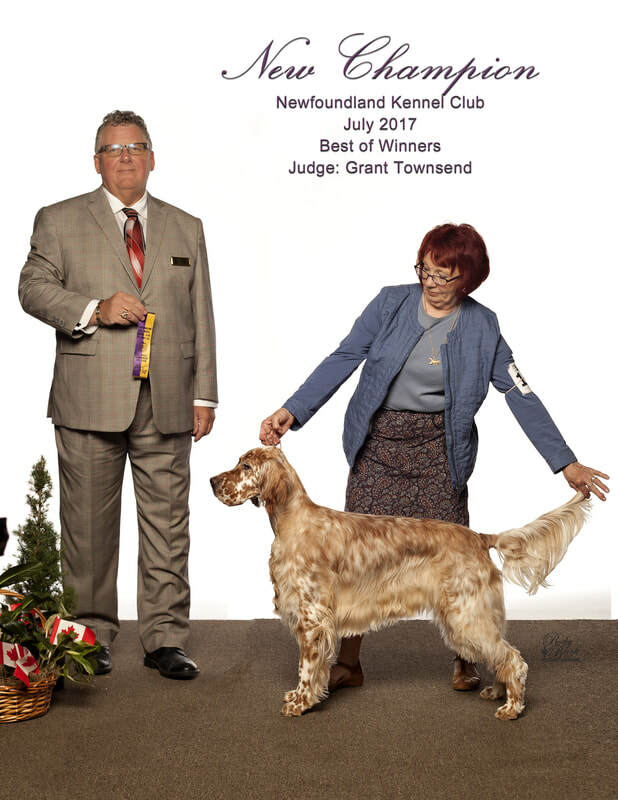 Plaisance Lady Kyra shown finishing her Canadian championship at 14 months. Kyra also had a BPIG win. Kyra is owned by Dr. Courtney Veitch & co owned by me. Kyra lives with Courtney & has a buddy in Sylvan, another of one of my setters. She is the 2nd champion for the Monty x Isleen litter.